Former champions Manny Stavropoulos and David Gorr both bagged in the first of three starting flights. The 2018 Aussie Millions $A10,600 Main Event is off to a good start at the Crown Casino in Melbourne after a total of 212 players entered the first of three available flights, just shy of last year's 218 entries on Day 1a. Seven levels of 90 minutes each saw the field cut down in more than half as only 96 hopefuls remained at the end of the night. It was a very close race for the overnight lead with several contenders for the top spot, and Lee Armstrong ended up on top with 165,400, narrowly ahead of John Overbeek's 164,400. Other big stacks and notables of the first flight include Mike Del Vecchio (153,900), Alex Lee Lin Hwaa (151,900), Cale Treacy (151,000), Najeem Ajez (150,800), Michael Egan (126,700), Duff Charette (96,700), Benny Spindler (75,700), Daniel Neilson (59,000), Max Silver (44,900) and Kristen Bicknell (19,900). Two former Aussie Millions Main Event champions took part in Manny Stavropoulos and David Gorr, the latter in fact spent the majority of the day right below his winning shot in the biggest casino complex of the Southern hemisphere. Stavropoulos scored a vital double with aces versus kings mid-way through the day and bagged up a very healthy 105,200, while Gorr advanced to Day 2 with 35,600. "I've played a couple since (I won) but it's great. The long answer is it doesn't feel all that different, but it's always good to play and have some chips to go through to Day 2 with. It always feels good. But as everyone says, you want to go far and make another deep run!" the 2015 champion Stavropoulos shared in the last level of the night. 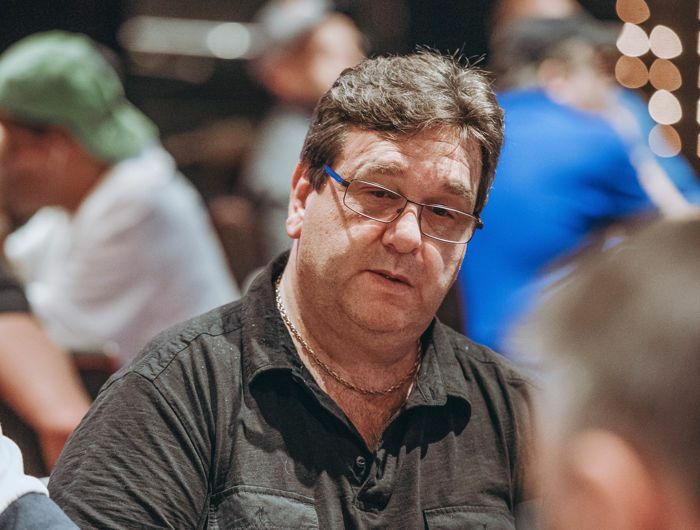 Another big name Down Under took part and steadily grinded up his stack in Australian Poker Hall of Fame member Mel Judah (86,900); Billy "The Croc" Argyros was less fortunate and busted. Judah sent several players to the rail including three-time WSOP bracelet winner Michael Gathy, who flopped an ace with ace-six suited only to see Judah turn a set of tens to eliminate the Belgian. The day started with a bang when some 120 players had just taken their seats, as Kenny Hallaert endured a nightmare of just 13 minutes. Seven minutes into the Main Event, the Belgian turned top two pair with ace-ten suited in a three-bet pot and reluctantly called a big river shove only to lose all but one big blind against pocket aces for top set. Samantha Abernathy, who finished third in the 2016 Aussie Millions Main Event two years ago, was eliminated in a three-way all in that also saw David “MissOracle” Yan hit the rail. Yan jammed a five-way flop with bottom pair and a gutshot to pick up calls from Abernathy and George Mamacas. Abernathy bet a king on the turn and shoved the river when a five appeared. Mamacas called with six-four for top pair that improved to a straight and Abernathy's set of kings was no good. 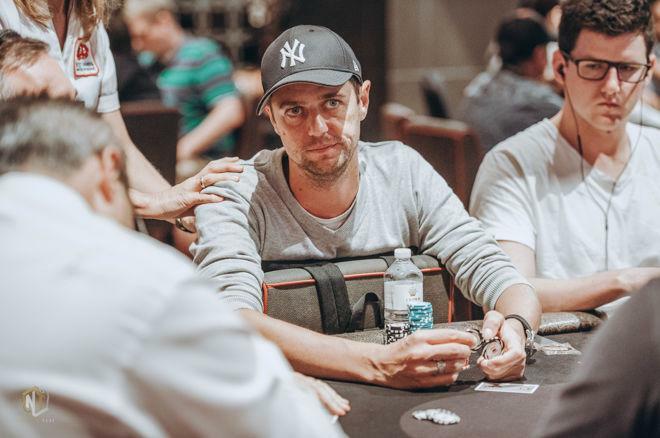 Other big names that took part and left the poker room of the Crown Casino empty-handed were Jake Balsiger, Jake Schwartz, Steven van Zadelhoff, Heidi May, Vojtech Ruzicka, Christopher Soyza, Rory Brown and Lily Kiletto to name just a few. Action for the second flight will get underway at 12.30 p.m. local time on Monday, January 29, and the PokerNews live reporting team will be back on the floor to provide all the action.